Sandwiched between preschool and first grade, kindergarteners often start school at very different stages of development depending on their exposure to preschool, home environments and biology. For states adopting Common Core, the standards apply to kindergarten, laying out what students should be able to do by the end of the grade. * Kindergartners are expected to know basic phonics and word recognition as well as read beginner texts, skills some childhood development experts argue are developmentally inappropriate. “There’s a wide age range for learning to read,” said Nancy Carlsson-Paige on KQED’s Forum program. Carlsson-Paige is professor emerita of education at Lesley University and co-author of the study "Reading Instruction in Kindergarten: Little to Gain and Much to Lose,” which criticizes the Common Core standards for kindergarten. "If we make students feel pressure so that they shut down, then that light bulb is not going to be as likely to come on and they aren't going to develop the confidence that they need to become successful readers later." 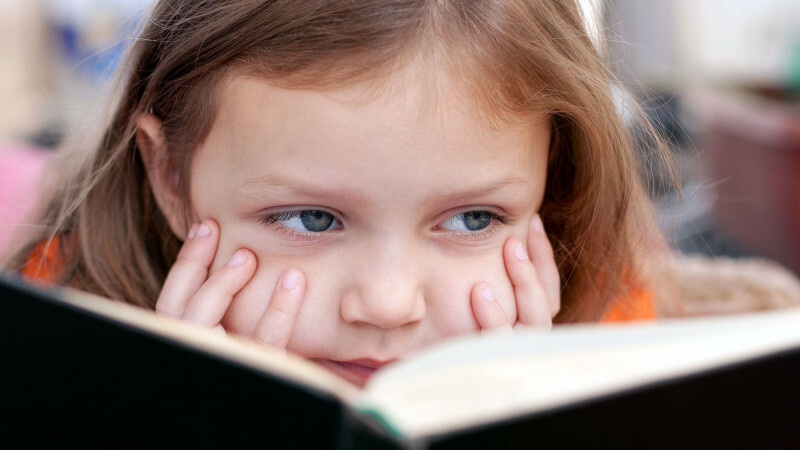 “Most five-year-old children are not really ready to learn to read,” Carlsson-Paige said. “There are many experiences in the classroom that are beneficial for building the foundation for learning to read that will come later.” She favors a play-based classroom that gives students hands-on experiences, helping them to develop the symbolic thinking necessary to later recognize letters and numbers. “Research shows on a national scale there’s less play and experiential based curriculum happening over all, and much more didactic instruction, even though we have research that shows long term there are greater gains from play-based programs than academically focused ones,” Carlsson-Paige said. While Common Core aligned assessments don’t kick in until third grade, many teachers feel pressure to make sure kids are meeting the specified standards before they move on to first grade. That pressure can mean more focus on academics, at the sacrifice of play time. Rau says under Common Core she’s seen positive shifts at her school towards more thematic units and more hands-on learning, but she agrees with Carlsson-Paige that pushing young children into skills they aren’t developmentally ready for can have poor results. Students can develop coping mechanisms that don’t serve them well later when they are confronted with more advanced texts. There are plenty of children who do learn to read in kindergarten or even before, so for many parents the argument that young children aren’t developmentally ready to read rings false. But not all learners are the same, and what’s true for one child won’t necessarily be true for the child sitting next to her. Young children learn differently from older children, adolescents and adults, Carlsson-Paige said. Early childhood educators have documented the progression of increasingly complex symbolic thinking that leads to understanding letters make sounds and sounds make words. Advocates for the kindergarten Common Core standards agree that kindergarteners should not be sitting still all day doing reading drills. But they are clear that the standards in no way require that sort of teaching and were written with help and input from early childhood educators around the country. They are meant to offer challenging opportunities to advanced learners while supporting learners who may be coming into kindergarten with very little literacy exposure. “What we set out in the Common Core are those skills and concepts that will help students learn to read in first and second grade," said Susan Pimentel, lead writer of the English Language Arts Common Core standards. She says early childhood educators were adamant that the language "with prompting and support" be used throughout the kindergarten standards in recognition that young learners will be new to school and won't be left to answer dozens of questions on their own. "So much of the concern is about the implementation," Pimentel said. And while she agrees that educators need to be vigilant about pointing out poor implementation and working to fix it, the problem is not new. Education standards have always been implemented in a variety of ways. "What we're talking about is teachers who have maybe not been trained and some attention on that would be important," she said. Other advocates of the Common Core standards see them as an important step towards education equity. "The strongest argument in favor of reading by the end of kindergarten and Common Core's vision for early literacy is simply to ensure that children—especially the disadvantaged among them—don't get sucked into the vortex of academic distress associated with early reading failure," writes Robert Pondiscio, senior fellow at the Thomas B. Fordham Institute. Many children start kindergarten able to identify short words or aware of the difference between lowercase and uppercase letters, two of the kindergarten standards. Pondiscio and others believe it is completely appropriate to begin introducing these ideas in kindergarten, albeit in fun play-based ways. Another literacy researcher says the critique that the standards are developmentally inappropriate may be a misinterpretation of what the standards require. For example, one standard says children should be able to read emergent texts with purpose and understanding. “The emergent-reader text is first modeled by the teacher for the students, then joyfully read over and over with the students until eventually the easy book is independently read by the students with great joy and confidence,” writes J. Richard Gentry, author of “Raising Confident Readers: How to Teach Your Child to Read and Write — From Baby to Age 7,” and a former professor and elementary school teacher. Gentry says this process emulates “lap reading” which some children get with their parents at home and which helps students gain confidence in their reading. All of these educators agree that it can be difficult to teach the kindergarten standards in developmentally appropriate ways when teachers are worried about how kids will do on standardized tests. While Carlsson-Paige and others believe the standards are inappropriate and should be thrown out, Pondiscio, Gentry and Pimentel are among those who believe the standards are important to make sure reading gaps don't start young. They favor the idea that implementation is the real problem and that more energy should be put into helping early childhood educators interpret the standards and integrate them into class in fun, approachable and developmentally appropriate ways. *An earlier version of this story suggested that Common Core was the first time academic standards were set for kindergarteners. We regret any confusion.